This Scene Setters - Zombie Door Decoration looks like there are zombies are busting their way through a wooden door. Great way to welcome party guests or to cover up a door you want closed at the Halloween party. Vibrant vertical image printed on plastic. Hang with tape or sticky tack, sold separately. Reusable and okay for outdoor displays. Easily cuts to resize or making slits for door handles. 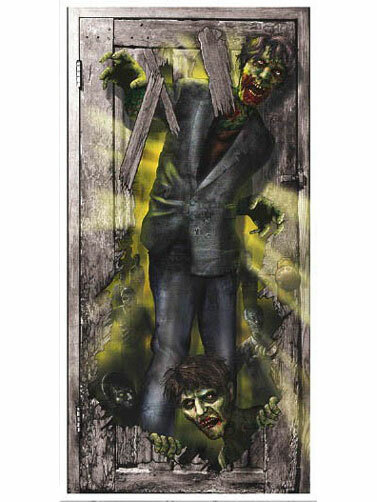 Zombie Door Decoration measures 65"H x 33 1/2"W.